Reinhard Voss is a German artist specialized in creating wooden busts, sculptures that are simultaneously detailed, figurative and abstract. 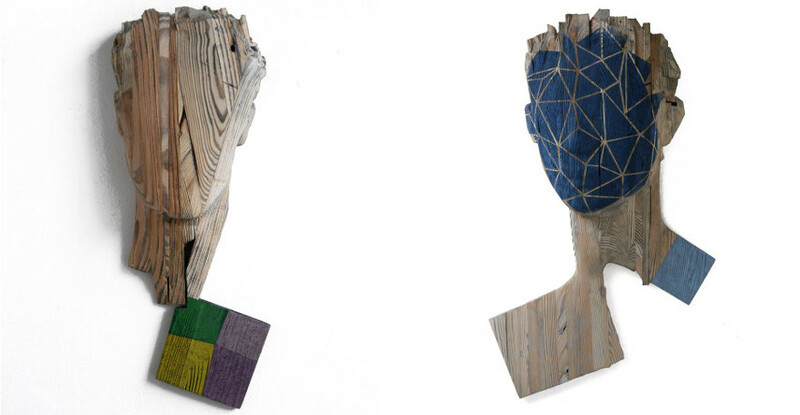 Voss’s carvings are created by piecing together multiple strips of wood, leaving our the eyes and concentrating on the varying grains and planes making up each face he depicts. The effects of such visuals are eerie at times, resulting in a face contorted or seeming to have been erased – this is the strongest feature of Voss’s work, the psychological note that makes every single bust intriguing to the viewer, often forcing him to requestion many social and logical aspects of life he or she takes for granted. Reinhard Voss was born in Rendsburg, Schleswig-Holstein, a place in northern Germany. Always fascinated with construction and how things fit together, Voss studied sculpture at the Academy of fine arts in Karlruhe, being a part of the classes held by Prof. Hiromi Akiyama and Prof. Stephan Balkenhol. The works of the young Reinhard soon attracted great attention and he quickly became known as Stephan Balkenhol´s master student. 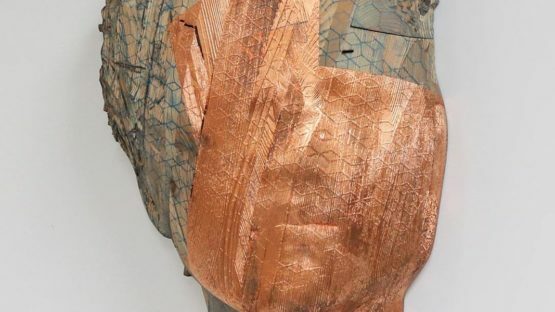 Working professionally as a sculptor since the year of 2000, Voss‘ wooden portraits are shown in widely noticed exhibitions both in the national and international scene. Since then, this artist has been living and working in Karlsruhe, Germany. Voss made a name for himself by authoring relief-like faces and heads of outstanding grace and presence. 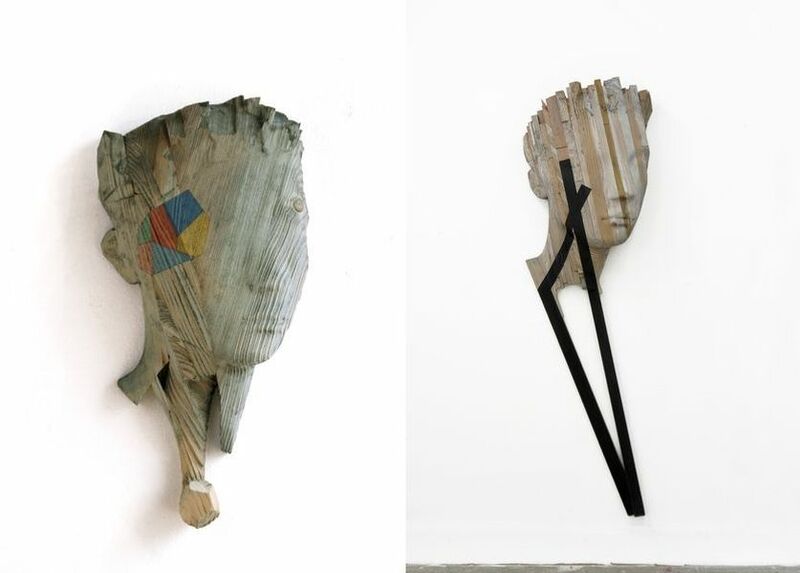 To create all sorts and shapes of heads and faces, the artist collects fragments of wood with varying structure and grain, carefully joining them together. Using Indian ink and acrylic paint, he puts signs and stigmata on the surface, a process similar to tattooing. The strong expression of Voss’ portraits is increased by the haptic and visual appeal of the object´s surface, adding drama and visual tension – nevertheless, his busts innate calmness, concentration and intensity. Such a blending of emotions is a part of the reason why this man’s works are so appealing to the public and it’s truly rare to see such an effective assemblage of feelings within one portfolio. Reinhard Voss’s art revolves around the hidden interior, familiarity and foreignness, identity and the individual. 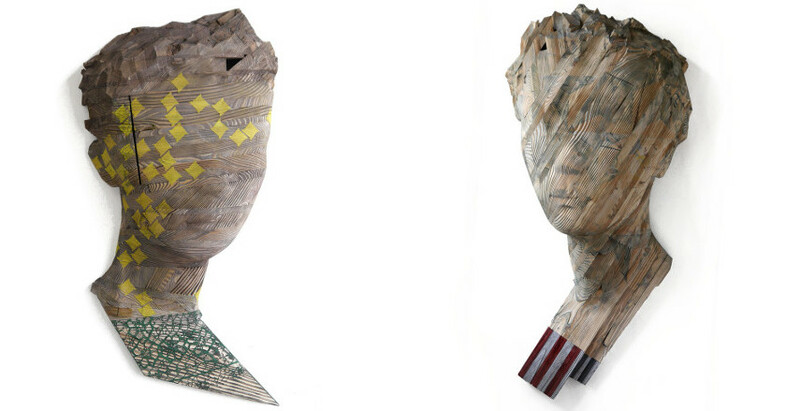 Rarely do we have the pleasure of witnessing art that is so psychological, especially pieces emerging from the sculptural medium that has rarely been linked to psychological creative concepts. Through his fascinatingly controlled abstract visuals and an intriguing take on faces, Voss makes us ponder how we often put on different appearances depending on the situation at hand, how we lose our mouths from time to time or become blinded by others – finally, he makes us ask ourselves the following, rather uncomfortable, question: How often do we truly show who we are? Reinhard Voss lives and works in Karlsruhe, Germany.